Please join Sound Transit and the City of Tacoma for the dedication of Diane Hansen’s new public art piece, Lock-On Tacoma. Lock-On Tacoma (referred to as The Locks) is a site-specific sculpture by artist Diane Hansen that surrounds the support column for the Sound Transit commuter rail tracks overhead at the ‘A’ Street pedestrian passageway. The Locks is intended as an inclusive communal gathering space in the Dome District. It invites people to bring and leave a lock dedicated to love: love of a special someone, place or memory. The artwork is part of Sound Transit’s D-M Street rail improvements project, which is part of the Sounder commuter rail Lakewood Extension. 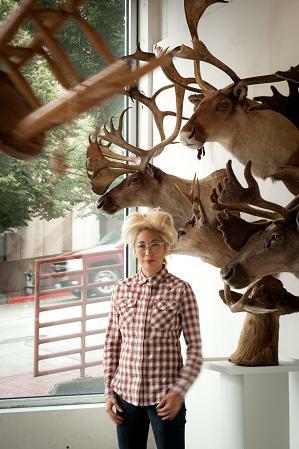 Hansen is one of five artists creating public art for the project. 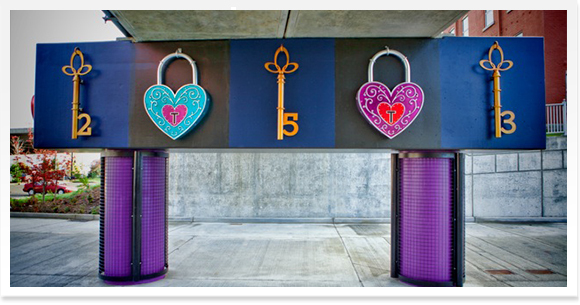 Enlarged padlock and skeleton key sculptures, painted in auto enamel candy colors, encircle the top portion of the rail support. Hansen worked with youth from Hilltop Artists to cast glass ornaments for The Locks. The columns are wrapped in metal mesh to create a screen where visitors can attach their own love locks. Bring a lock to decorate, and attach it with a wish, to the interactive artwork. 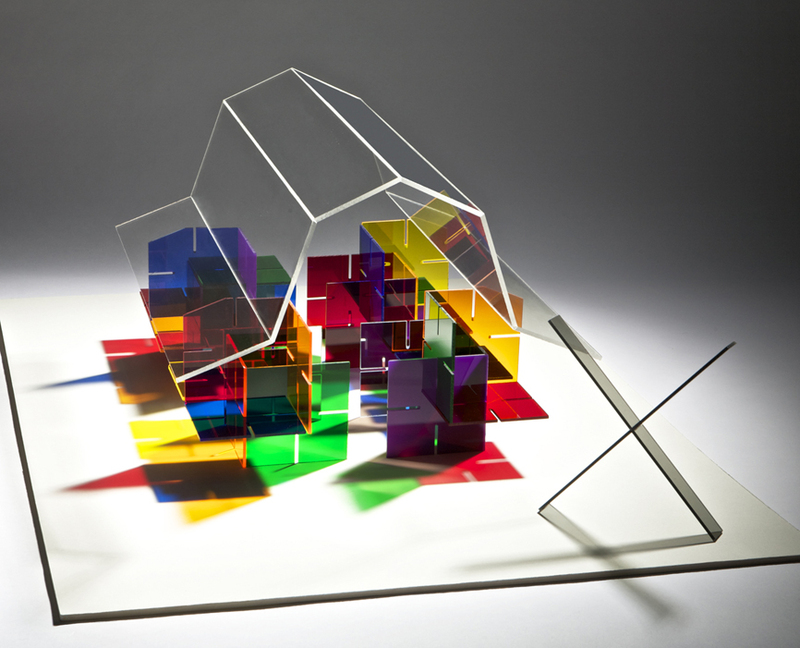 Diane Hansen is a Tacoma sculptor and glass artist who works in many mediums and scales. Diane participated in the Public Art: In Depth training program with the City of Tacoma’s Arts Program. Ed Kroupa has been involved in the fine arts field for over fifteen years, dabbling in the areas of fabrication, sculpture, drawing and more. He is the co-owner of Two Ravens Studio, which opened in Tacoma in 2008. Ed holds a professional background in prop creation using the techniques of wax casting process, mold making, vacuum forming, and resins. His work is displayed in both the US and in England, and can even be seen in Disney theme parks! In 1983 the Environmental Protection Agency declared the Thea Foss Waterway a Superfund site. In 1994, the City of Tacoma took the lead in developing a clean-up plan for Thea Foss and Wheeler Osgood Waterways. Since, from 2002-2006, approximately 425,000 cubic yards of contaminated sediments were taken from the waterways and capped with clean sediments. 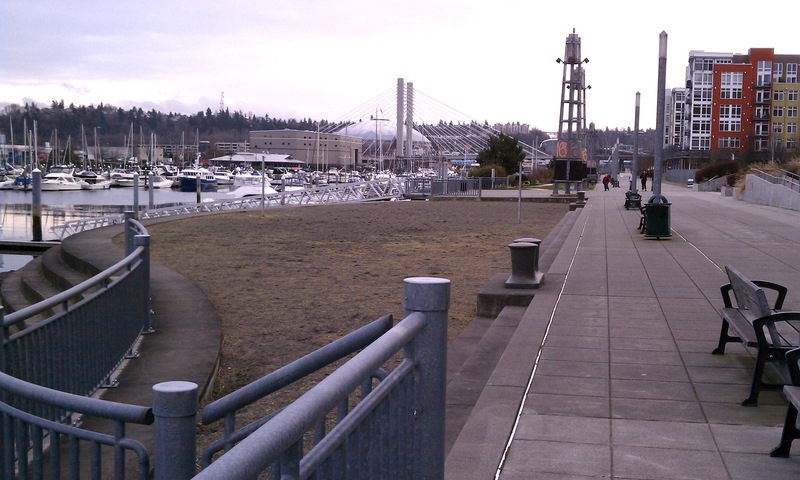 The City restored the shoreline to a more natural function, reintroducing native aquatic vegetation and natural beach areas that provide access to Tacoma’s urban waterfront. The area that Ed will transform is the sandy area on Esplanade between S. 14th and S. 15th streets, in front of the private housing development “The Esplanade” at 1515 Dock Street. The site was originally designed as a volleyball court but, due to low usage, the court will be removed, leaving an expansive sandy area just begging for an interactive art piece. Can you give me some background on yourself and how you got into this career? I grew up in the small town of Ridgecrest, located in Southern California. I took an interest in drawing at an early age and began taking as many different kinds of art classes as my mom would sign me up for. My mom also fostered my art interest at home as we often spent time doing craft and ceramic projects together. After dabbling in photography, ceramics, painting, pottery and other art related subjects, I set my sights on having a career as an illustrator and took several drawing and drafting classes to get myself prepared for working in that field. When I thought I was ready, I gathered up my best work and approached a company in town that had a large Illustration department hoping to get my foot in the door. They liked my work but informed me that they did not have an opening in that department at that time. They did however offer me a position in their Drafting department with the intent on having me transfer to the Illustration department as soon as an opening came up. So I became a draftsman. The company’s contract was for the Naval Weapons Center and I soon found myself drafting plans for numerous missile systems. I remained in the Drafting department for four years. After a series of life events, I found my way to the Northwest. Some old high school classmates of mine offered me a job at an effects shop they had been running in Shelton, WA. 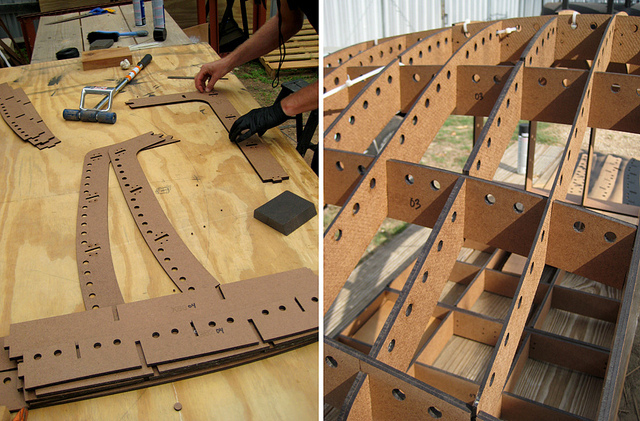 The job involved making props and displays for movies and theme parks. Based on my past education, work history and friendship with them, I soon found the next step in my art career. I stayed with the effects company for about six years sculpting and fabricating for broadcast, motion picture, theme park, and other projects in the entertainment industry. When it was time to move on, I looked around for something that would benefit from my past work history and found The Bronze Works. The Bronze Works was a bronze art foundry located in Shelton. I stayed with them in Shelton till their move to Tacoma and worked my way up the chain to become the department head for their mold and wax departments as well as being the lead person on all of their sculptural enlargement projects. While working there I was asked to create several original sculptures for clients. The Bronze Works stayed open until 2009. When they were in the process of closing I teamed up with two other former employees, Katrina Toft and Mike Haney, and formed Two Ravens Studios. We started out making molds and resin castings in our partner’s mom’s garage. The intent was to eventually offer traditional artisan foundry work as well as design original sculptures and continue with the resin work. After some talks with the old foundry owner we were able to acquire the equipment needed to start our own foundry. We soon were approached by other artists and asked if we would create their work in bronze, aluminum, resin, and plastic composites. In 2010, Two Ravens Studio moved into its downtown Tacoma location and started its furnaces in 2011. We have been growing ever since and taking on large projects. What are some of your previous projects that you have been most proud of and why? 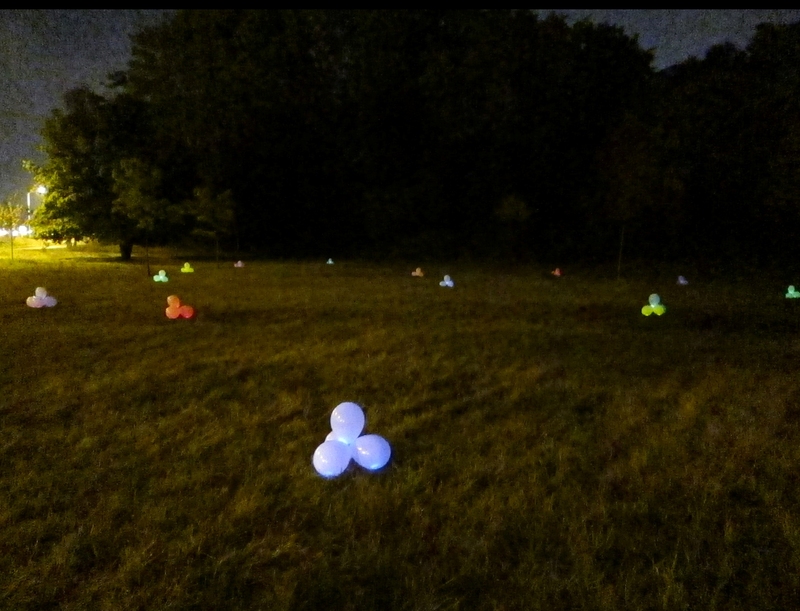 “Life” temporary art installation. Photo by Ed Kroupa. What was your initial reaction when you were selected to create a public art piece for the Esplanade, and what is your reaction to the site you will be working on? I was elated that I was chosen to be the lead artist and have been considering several possibilities for the area. During my initial explorations of the Esplanade, I was taken in by the way the sandy area resembled an infinity pool, giving the viewer the illusion that they could walk across a “beach” and right into the Waterway. Do you have any preliminary thoughts about what you will make in the space? Ultimately what I hope to accomplish is give people a reason to step off the walkway and interact with the art and the space. I’d like to include recycled materials with foundry cast elements to be able to create a substantial piece for the location. As a Tacoma resident and artist I feel a strong connection to the coastal area and its aquatic life inspires me greatly. So this is likely to influence my design of the artwork for the Esplanade. Born and raised in the Tacoma area, Lisa Kinoshita is one of the 23 participants in the Tacoma Arts Commission’s Public Art: In Depth (PA:ID) program, training professional Tacoma artists in how to transfer skills from their studio practice to the public art realm. She moved from Seattle to Tacoma in 2003 and opened her own art gallery, Mineral, which she closed last year in order to focus time on pursuing her own art and freelance writing fulltime. Lisa is a jewelry artist by training (her work has appeared in the New York Times, ELLE, Seattle Magazine and other publications), and gives credit to the PA:ID program for giving her the skills to bridge the gap between working on projects which use the minute scale of jewelry metalsmithing to large-scale public art pieces. Thanks to Elizabeth Conner, teaching artist for the PA:ID program, Lisa has been able to hone newly acquired knowledge on topics ranging from proposal development to working with contractors. Currently, Lisa is underway in developing a vibrant public art work created specifically for Metro Parks’ newly opened, family-centered South Tacoma Activity & Recreation (STAR) Center. What interests you about public art? I’m interested in public art because it encourages interaction and for people to look at their world in subtly different ways. You are currently working on a proposal for a public art piece at the STAR Center. What intrigued you about the location and community, and what do you wish for your art to accomplish there? South Tacoma, where the STAR Center is, is very diverse; it has a natural dynamism and is a neighborhood in the midst of change. In addition to the recreation center there is a weekly farmers’ market, a teaching kitchen onsite, and two community garden plots in the works [all at STAR]. The planning for STAR reflects a respect for nature and restoration. The center is certified LEED Silver to meet certain environmental standards, and its fields and green space are meant to bring people together and to get them outdoors. I hope my art installation, constructed with plants and steel, will create a sense of wonder about nature as a dynamic, beautiful and changeable art medium, one that we need to respect. As a community center, the site is inherently a place for family learning and discovery; do you plan to incorporate any interactive elements within your work? I hope my project – which is still in the planning stages, and involves interaction between sculptures and living plants – will attract people interested in green technology, in growing food or simply enjoying all that this beautiful space has to offer. Have you completed any projects recently? “Valley Roundelay” by Lisa Kinoshita. Photo: Roger Schreiber. 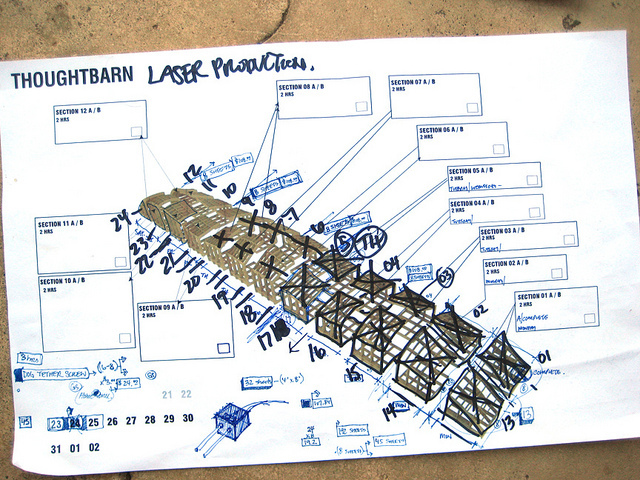 A scale model of Thoughtbarn's modular prairie grass concept. “Temporary urban theater” was the catch phrase last week when Philadelphia urban planner Todd Bressi, and the Austin-based design team of Lucy Begg and Robert Gay (Thoughtbarn) returned to Tacoma to discuss stage two of the Prairie Line Trail (PLT) public art plan. 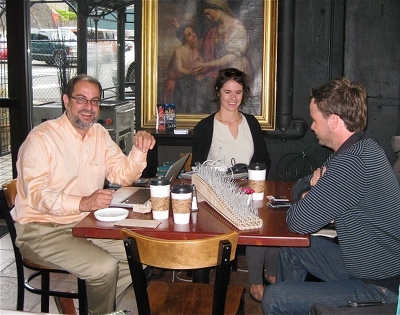 At an informal meeting at the Rain City Café, Thoughtbarn introduced 3-D scale models of their proposed onsite installation. 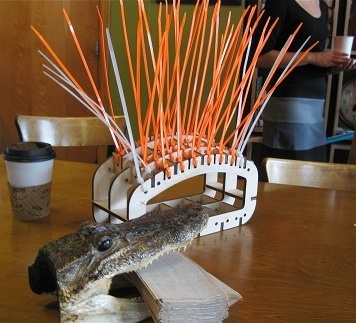 A real alligator’s head (i.e., a café napkin holder) glared at the preliminary concepts – modular islands of “prairie grass” made from recyclable materials. Seated around the unusual centerpieces were historic preservationists, City arts administrators, interested citizens, artists and University of Washington-Tacoma (UW-T) staff. Funded in part by a National Endowment for the Arts (NEA) planning grant, Thoughtbarn and Bressi are developing the art strategy for a proposed $5.83 million, half-mile legacy trail connecting historic districts centered around the downtown museum corridor and UW-T. Now that the public art plan is halfway complete, it’s time to identify opportunities and how to make them work, said Bressi. A demonstration project will be unveiled on the trail site Nov. 12, featuring six temporary art installations by Tacoma artists, in addition to a commissioned work by Thoughtbarn, that will be up for two to four weeks. The goal is to create art experiences, “even guerrilla art within a sanctioned framework,” that will draw attention to the historic route even before its construction begins. The planning team compares the temporary art works to “urban theater”; a way of adding a layer of excitement and anticipation to this major downtown project.